As if its legal team did not have enough frivolous lawsuits to deal with over its dance emotes, now Epic Games is getting sued over “predatory” loot boxes. 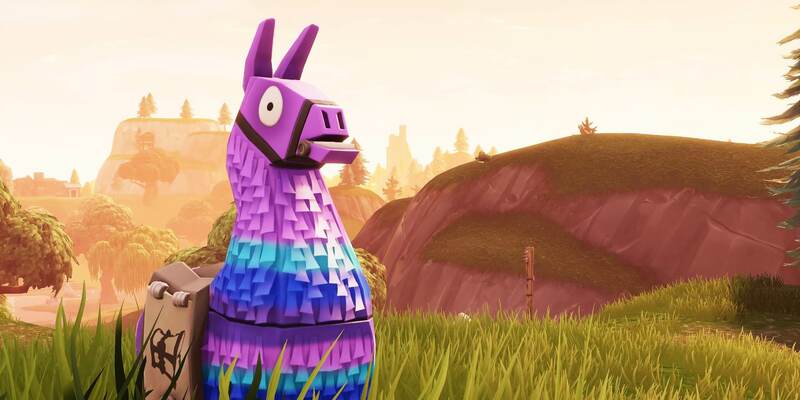 The parents of a minor child in California have filed a lawsuit on his behalf that claims Fortnite Save the World's blind-draw loot boxes were unfair and deceptive. Epic effectively did away with blind-draw boxes when it introduced the “X-Ray Llama” back in January with patch 7.30. Up until that time, the lawsuit claims, Epic made off with loads of cash via deceptive business practices. The filing argues that the Llama loot boxes rarely dropped rare loot. That would seem to make sense — that rare item are indeed rare, but lawyers for the plaintiff state that since Epic did not disclose the chances of receiving such loot, it was engaging in “predatory tactics” to relieve players from their money unfairly. They claim that had Epic made the odds for rare drops known, the plaintiff would never have bought the loot boxes in the first place. The filing did not explain how the plaintiffs or attorneys determined that the odds of receiving rare loot were unrealistically low. Without a clear argument on how they discovered the odds, they will have a hard time convincing the courts that they were cheated. Remember, the burden of proof is on the plaintiff. The lawsuit seeks "injunctive relief" of an undisclosed amount, a constructive trust containing all of the money received from the plaintiff(s) transitions, and an award consisting of all money "wrongfully acquired."